Air Niugini’s subsidiary company, Link PNG has been successful in its bid to provide charter services for Exxon Mobil PNG Limited for the next three years as of Sunday 01st November 2015. Link PNG operates up to 14 charter services for Exxon Mobil each week between Port Moresby and Komo in Hela Province. Additionally, it operates several transit services via Moro in Southern Highlands each week. Link PNG’s General Manager, Mr Daniel Wanma in welcoming the first flight on Monday 02nd November said Link PNG was privileged to offer Exxon Mobil PNG Limited its services and assured them of the airline’s highest safety standards. 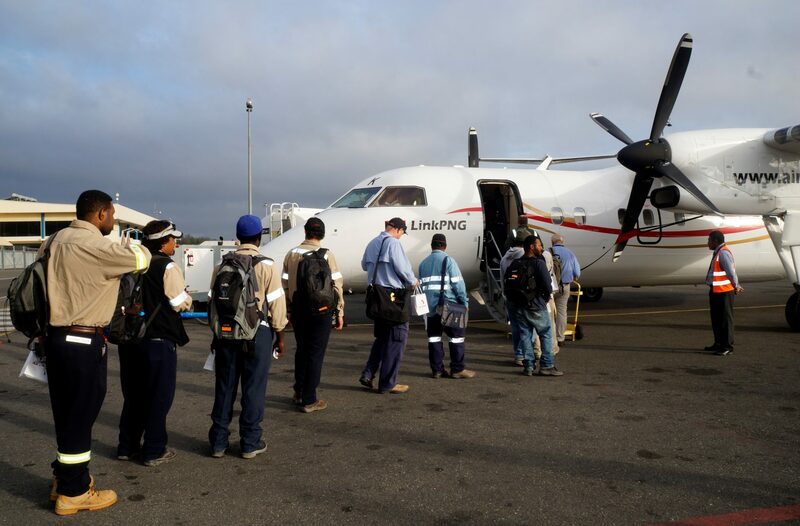 Link PNG together with Air Niugini, handle corporate charter services for 6 major contractors, operating up to 60 flights and carry in excess of 2,000 passengers in a week. Their charter services operate both locally and internationally using DH8-200 and 315, Q400 and Fokker 100 aircraft.